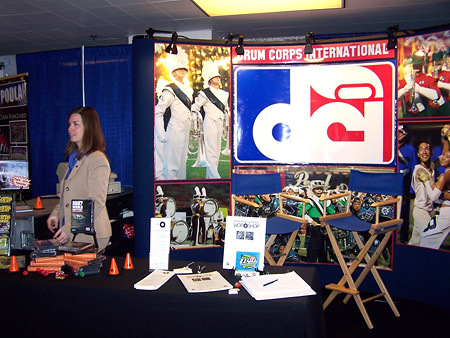 Those attending the 2007 Midwest Clinic, the world's largest instrumental music education conference, had the chance to visit with Drum Corps International and some of its corporate partners and member corps. The event took place from Dec. 19 through 21 in downtown Chicago. Check out a photo gallery from the conference. Bands of America/Music for All, Inc.